- Specialty designed tread compound and wide foot print for extended tread life and superior braking power. 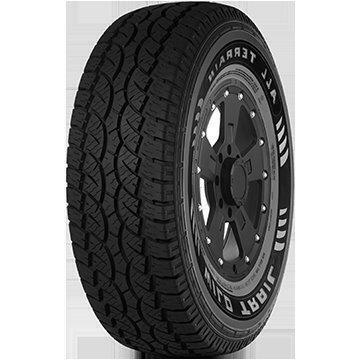 - Block tread design with multiple siping patterns for outstanding off-road traction. - Open shoulder grooves and cross tread channeling for excellent water evacuation. - Steel belted construction and jointless nylon wrap overlay for enhanced tread durability.